Gulftainer has announced the appointment of Flemming Dalgaard as the new Chief Executive Officer of the group. The Sharjah-headquartered group is now the the world’s largest privately-owned, independent port operator, operating and managing ports and logistics businesses in the UAE and internationally across Iraq, Brazil, Lebanon, Saudi Arabia and the USA. The operator was recently presented with the ‘Port Operator Award’ at the Lloyd’s List Middle East and Indian Subcontinent Awards. According to a company statement, former Gulftainer CEO Peter Richards will now serve on the company’s Executive Board and lead its expansion in the United States as Chief Executive Officer of Gulftainer USA. The company’s US subsidiary signed a 35-year agreement with Canaveral Port Authority in 2014 to manage the port’s new container and multipurpose sea cargo terminal, which opened for business in June last year. Flemming Dalgaard joined Gulftainer in August 2015 to manage its international operations. In his new role as CEO of the Group, he will oversee the strategic growth of the company. Dalgaard takes up the new position after more than 30 years experience in the international maritime industry. He previously served as Senior Vice President for Group Strategy at DP World and CEO for DP World Europe and Russia region. In the past he also held the position of Managing Director for the UK at Maersk Line, the world’s largest container shipping company. Gulftainer has recorded consistent growth year-on-year over the past decade, averaging more than 12%, compared to global market growth of 8.6% during the same period. 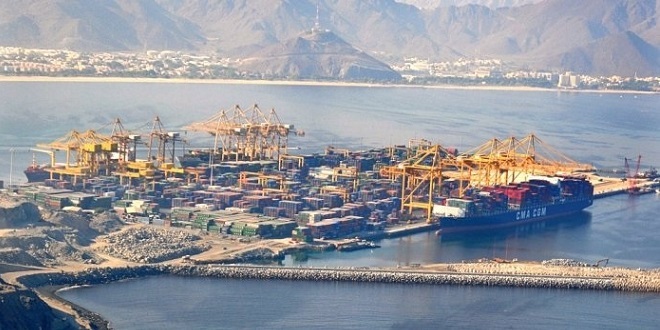 In the UAE, Gulftainer operates two main ports on behalf of the Sharjah Port Authority – Sharjah Container Terminal (SCT) and Khorfakkan Container Terminal (KCT), which was recently recognised by the Journal of Commerce as the fastest terminal in the MENA region and third in the world. In April 2015, Khorfakkan Container Terminal was named Shipping Port of the Year at the ITP SCATA Logistics ME awards.